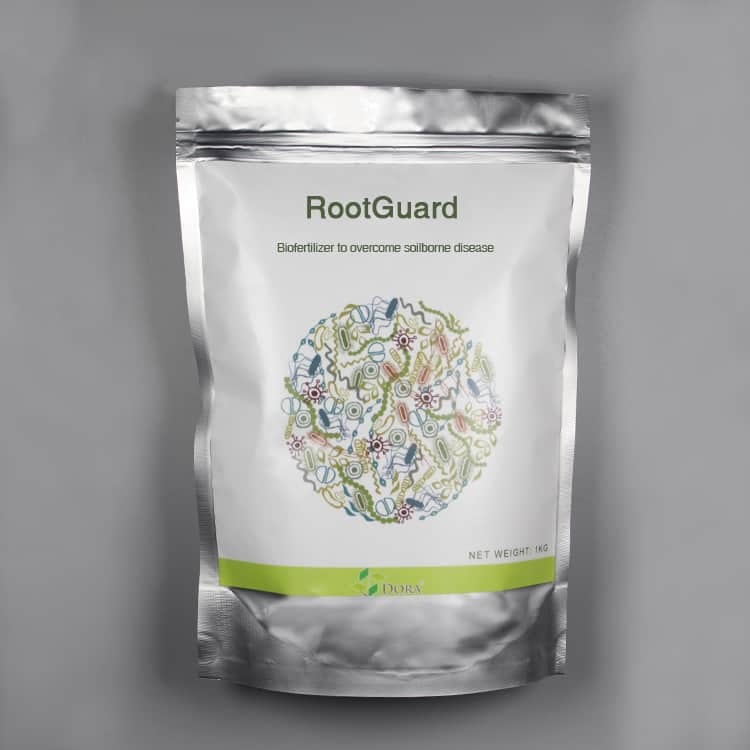 Dora RootGuard is trichoderma harzianum biological fungicide for eliminating damaging fungal pathogens, such as Phytophthora, Rhizoctonia, Pythium, Fusarium.It will form a nature defensive bond to “Guard” your crop’s roots. One Application provides 2-3 months root system protection against soil borne diseases. Get Coupons and how to use? 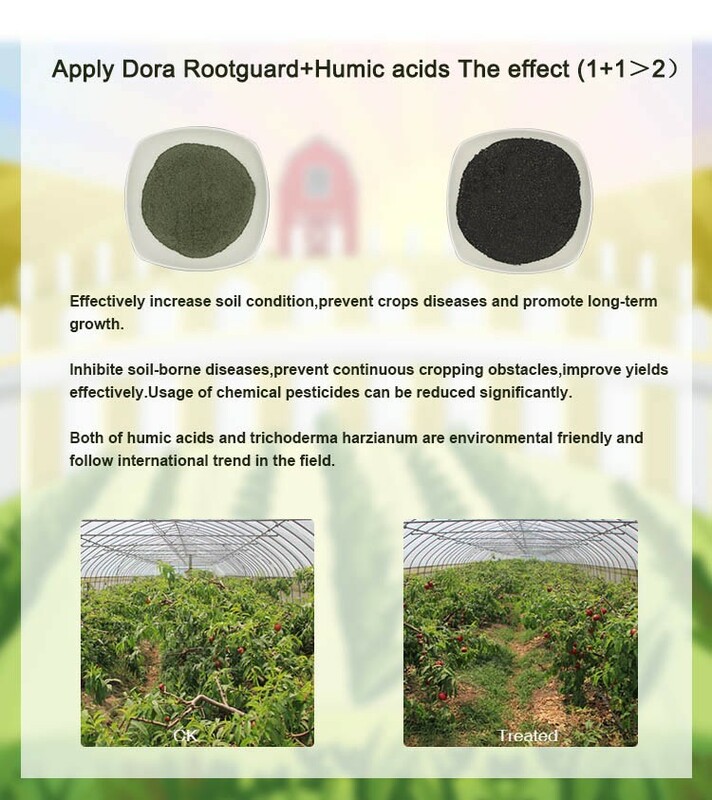 Dora RootGuard is biological fungicide product for protecting most of crops away from soil-borne pathogens. It contains spores of the beneficial fungus trichoderma harzianum. 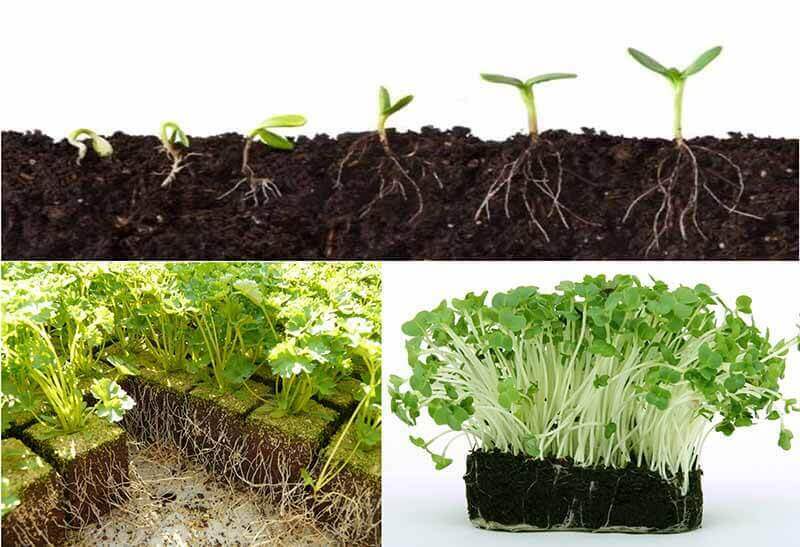 After we used the Trichoderma harzianum, it will produce mycelia to grow along the roots, will forms a physical bond on the surface of plants root system, establishing itself in the rhizosphere(root zone) and protects the roots against soil-borne diseases. 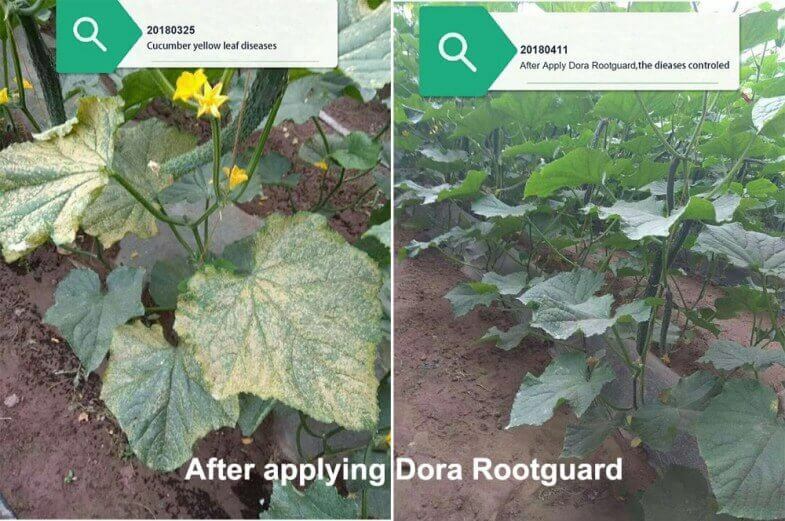 What’s features of Dora Rootguard? Because of continuous cropping, unsuitable using chemical fertilizer, attack from nematode, soil-borne diseases always be a big problem for farmers. 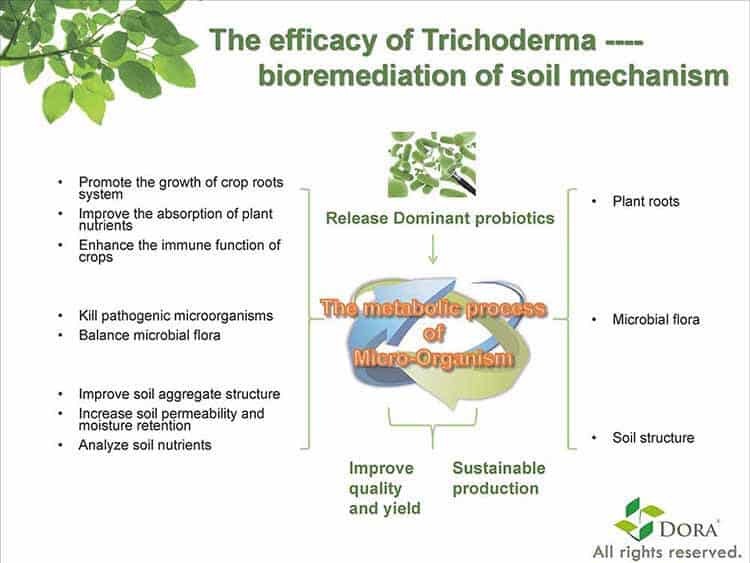 Trichoderma harzianum is soil safeguard to protect crops from soil-borne dieases, improve soil micro-environment.Thus to get healthy soil and healthy crops. Effective prevent 50 kinds plant diseases caused by fungus,such as powdery mildew, Root rot, Rust Dieases, Black Spot etc. Trichoderma harzianum has good effect on prevent & control these diseases and reduce use of pesticide obviously. Trichoderma harzianum promotes crop growth in two main ways: First, it kills the fungus which causes root rot. Second, it reduces the physical stress on the crop and makes it grow better. 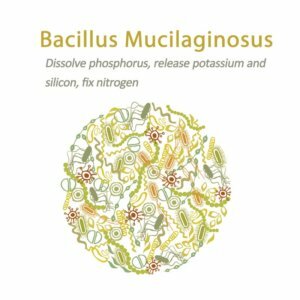 Several research shows that Trichoderma harzianum is one of the most effective microbes to colonise the roots. 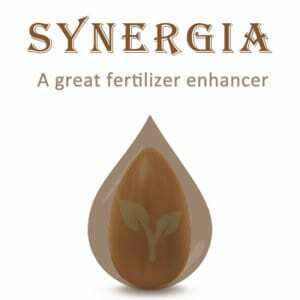 It often used as an inoculant for crop production, and to improve the root growth and acclimatisation phases in plant nurseries. 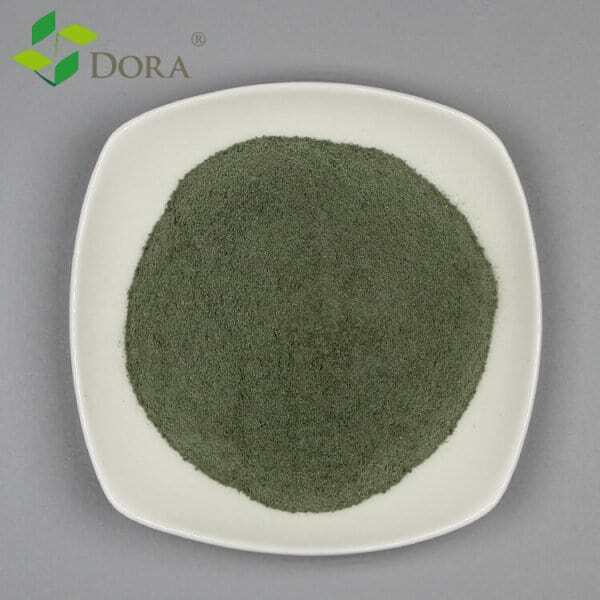 Trichoderma harzianum is suitable to be applied to improve soil problems such as soil salinization, hardening and acidification conditions. Significantly improve these soil condition and help soil build crumb structure. 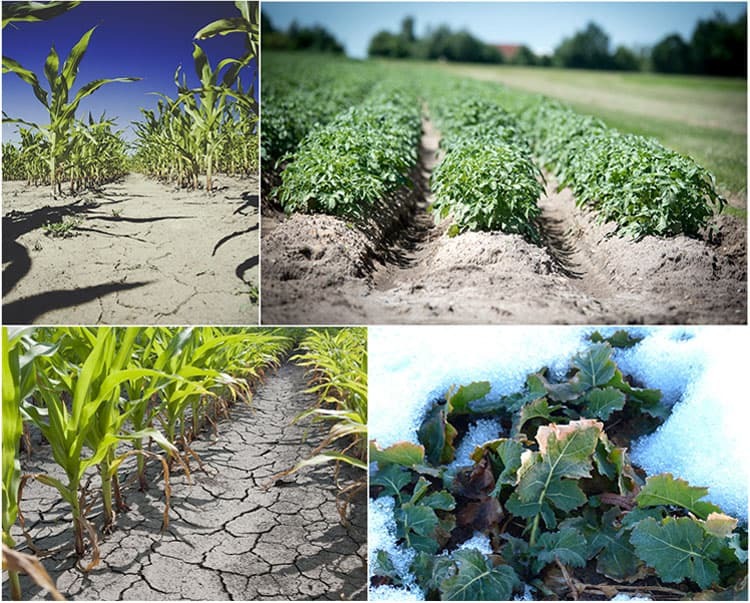 Increases crops resistance to stress caused by diseases, and watering or climatic conditions such as drought, waterlogging, and low temperature environment. Compared with solid fermentation with more contaminating microorganism and short survial time. Our Trichoderma harzianum used lastest technology of liquid fermentation, with the advantages of low contaminating microorganism rate and longer survial time. 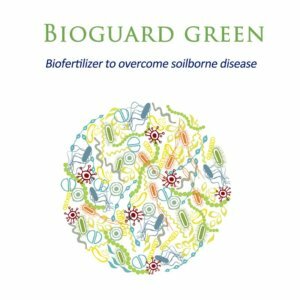 Pre-blend Dora RootGuard into your soil mix at the time of planting or drench with Dora RootGuard immediately after planting. This product can be applied by broadcast, hill dressing,drill fertilization,root-irrigation,Turn the soil after watering, keep the soil moist 5 days. Q1: Do chemical fungicides kill the trichoderma fungus in this product? Trichoderma can not mix with other fungicide to use together. Q2: Will Dora Rootguard work in hydroponic gardening? 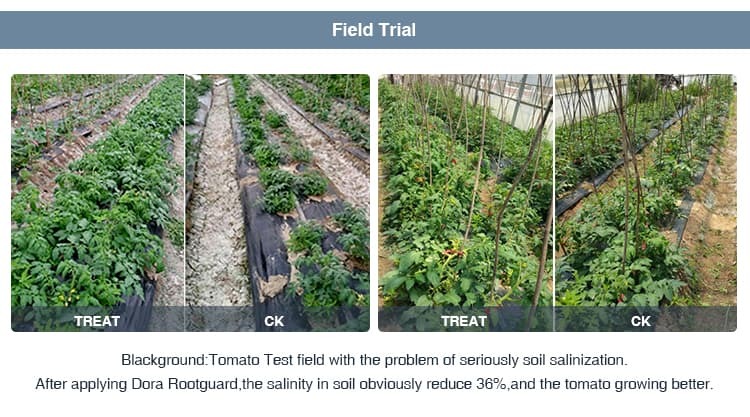 No effect,it only have effect in soil.No soil,no effect. Q3: When to apply will reach best effect? 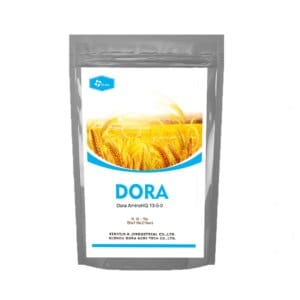 The effect of Dora Rootguard will be seen after 2 weeks,so you can apply before planting. Q4: How about the duration of Trichoderma harzianum’s effect? Usually it will lasts 3 months after applying. Q5: Which fungal pathogens of root diseases of plants can be controlled ? 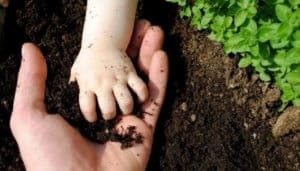 Fungal Pathogens of Plant Disease: Cylindrocladium spp, Fusarium spp, Pythium spp, Pythium aphanidermatum, Phytopthera spp, Rhizoctonia spp, Thielaviopsis spp, Cylindrocladium spp ,Fusarium spp, Pythium spp, Pythium aphanidermatum,Phytopthera spp, Rhizoctonia spp, Thielaviopsis spp. It have good effect on prevent powdery mildew on my rose. So far it’s good. Superme service by seller. It will be a few months before it is truly known how well it works.